A summer of sporting activities kicks off today! But with so many of the games, sets and matches played during working hours, many of us will be stuck in the office or on the go and miss the action. Fear not, if the boss won’t let staff watch the match, or your iPad might not survive until overtime, Leitz has a clever solution in the form of their Complete Privacy Case and the Leitz Complete Multicharger. Not only does is it put an end to shoulder-surfing on the daily commute, the unique accessory comprises an integrated hardcover protective case, desk stand and all-important privacy ‘lid’. When closed, this instantly prevents anyone within peripheral vision from viewing the screen whilst retaining full touchscreen functionality. Use the desk stand to position it at the perfect viewing angle and rest assure that nobody else can tell what you’re watching, score! The Leitz Complete Privacy Case is available for iPad, iPad2 and now also for iPad Air. 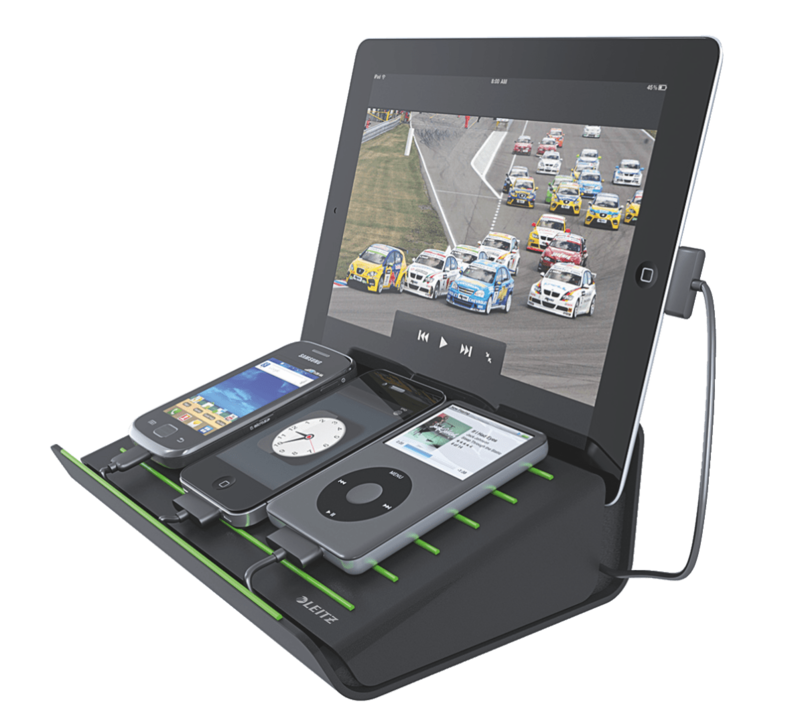 A desktop must-have for anyone juggling mobile phones, tablets and iPods. The new Leitz Complete Desktop Multicharger will keep up to four essential devices powered up simultaneously, and organises loose cables neatly to increase space. 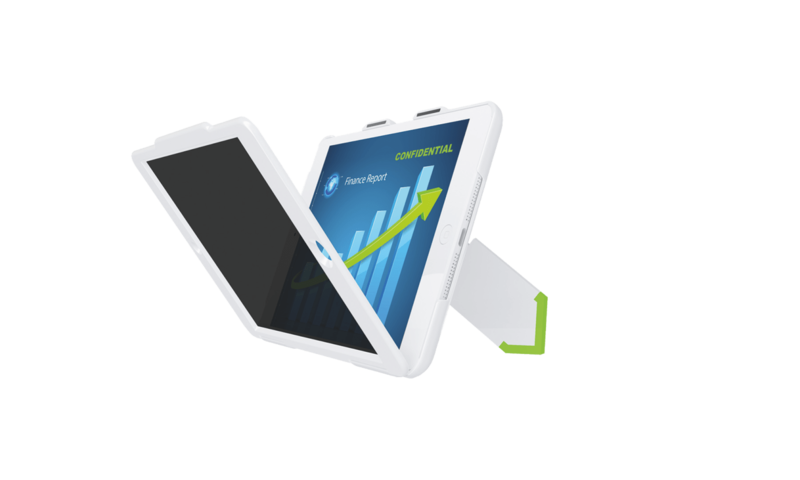 No bigger than an iPad, the Multicharger holds all devices at the perfect angle for viewing and typing. So there’s no way the iPad will run out of battery power.